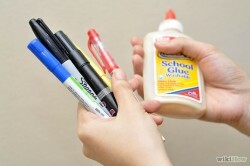 Home › Inhalant Abuse › Are Inhalants Addictive? While many addictive substances can be inhaled as well as smoked and snorted, inhalants are rarely ever used in any other way besides inhaling, which most distinguishes them from other drugs. As accessible as this class of substances is, the question, “are inhalants addictive” may seem warranted, but accessibility has nothing to do with any one drug’s addictive potential. The answer to “are inhalants addictive” lies in whether or not these substances can interact with the brain’s chemical system and produce psychoactive effects. In this respect, the answer to “are inhalants addictive” is a resounding yes. Understanding how this class of drugs affects the brain and body leaves little to the imagination in terms of how powerful these substances can be. Teenagers and young adults make-up the bulk of inhalant users and most will use whatever they have on hand. Different types of inhalants produce different effects so users may eventually develop a preference at which point they’ll likely go out of their way to obtain it. Regardless of the type of inhalant used, the answer to “are inhalants addictive” remains the same: yes. For the most part, the effects of inhalants on the brain’s dopamine system answers the question “are inhalants addictive” since this system plays a central role in other forms of drug addiction. Dopamine, a primary neurotransmitter chemical, regulates the brain’s reward system. The brain reward system dictates a person’s interests, motivations, drives and priorities. In effect, inhalants cause large amounts of dopamine to be released in the brain, which over time “rewires” the reward system to view inhalant effects as a primary motivation in a person’s daily life. Any drug capable of tampering with these systems likely carries addictive properties. So, are inhalants addictive? Yes. Most every drug that carries an addictive potential breeds some degree of physical dependence. Physical dependence develops out of the ongoing deterioration of brain cell functions that takes place with frequent drug abuse. Considering the fast-acting effects of inhalants, withdrawal periods typically last for up to 36 hours compared to the two to four week periods associated with opiate and stimulant abuse. In terms of “are inhalants addictive,” their ability to induce withdrawal effects is yet another indicator that they are. Psychological dependence lies at the heart of any form of addiction, inhalants included. With frequent drug use, the effects of inhalants cause ongoing damage to brain cell structures, the very same brain cells responsible for secreting neurotransmitter chemicals. Over time, damage to cell structures creates a state of chemical imbalance in the brain. Since neurotransmitter chemicals act as the brain’s communication messengers, any imbalances have a direct effect on overall brain function as well as on the brain’s structures. Are inhalants addictive? These drugs flood the brain with excess chemical materials with each successive use. After a certain point, their effects on the brain’s reward system inevitably affect a person’s thinking, emotions and behaviors. Anyone exhibiting these behaviors probably won’t even bother to ask, “Are inhalants addictive?” as the drugs have already become a top priority in his or her life. During the initial stages of inhalant abuse, the “high” effects of the drug drive continued use. Over time, users start to develop a need to use the drug that extends past just wanting to get “high.” Ultimately, the need factor answers the question, “are inhalants addictive” for any one person. What causes this need can be biological, psychological or driven by social influences. Biological causes may point back to a family history of substance abuse in general. Psychological causes have to do with unresolved traumas or past issues that compromise a person’s sense of emotional safety and security. In this case, he or she turns to drug use as means for coping with internal conflicts. Social causes take the form of peer pressures or frequent exposure to environments where inhalant abuse is considered “normal” behavior. In effect, the question, “are inhalants addictive” has as much to do with a person’s specific circumstances and background as it does with the effects of the drug. Are inhalants addictive in terms of causing certain signs and symptoms to develop? Yes. Signs of inhalant addiction can vary depending on the person, the type of inhalant used and the length of time using. Considerations – Are Inhalants Addictive? According to the National Institute on Drug Abuse, inhalant abuse can lead to other more serious forms of drug abuse due to the increasing tolerance levels brought on by frequent inhalant use causes. In terms of are inhalants addictive, their ability to drive users to seek out more intense “highs” is yet another indicator that inhalants are indeed addictive. 10 Effects of Inhalants You Don't Want to Experience - When abused long term, inhalants can cause a variety of dangerous and potentially fatal effects. Getting Help for Inhalant Abuse - Inhalant abuse is dangerous, and if you cannot stop on your own it is recommended that you seek help. There are inpatient programs, outpatient rehab facilities, and support groups designed specifically to help people like you overcome this addiction. Harmful Effects of Inhalant Abuse - Abusing inhalants, or 'huffing', is very dangerous. It is possible to die from inhalant use, or to experience a wide array of other symptoms such as skin rashes, lung damage, kidney stones, and memory loss. Huffing Paint – Sure Signs Your Teen is at Risk of an Inhalant Addiction - If your teen is abusing inhalants, it's imperative that you get them treatment help immediately in order to prevent addiction, other health complications, and death. Signs of Inhalant Abuse to Look Out For - Abusing inhalants can significantly damage the health and well-being of those who do it. Signs of abuse include memory loss, confusion, possession of paper bags, aerosol containers and paint thinners, and red eyes. Top 5 Signs of Inhalant Addiction - Although less discussed than other forms of abuse, inhalant addiction is a common and dangerous condition.